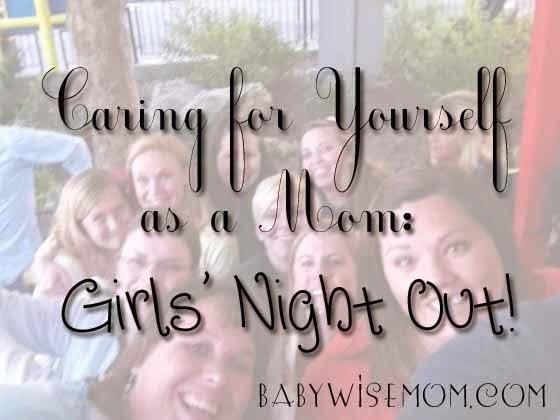 Today I wanted to talk about a way to care for yourself socially, and that is with girls’ night out! A good group of my girlfriends and I have a standing day each month that we do girls’ night. It is the same night each month and we take turns hosting or we go out. I also have other good friends I will go out with for various reasons, including celebrating our awesome play we all worked on or going out to decompress from a stressful project we are working on. Some of my good friends and I out at a local amusement park. Having a girls’ night out is so fun! It is energizing. It allows you to focus on yourself in the role of friend. We usually meet weekly at the park as moms with our kids, and that is very fun, but we are still balancing mom and friend in that situation, with mom naturally coming first. When you get together without kids, there is no child to take potty, change diaper, clean up after, correct, push in the swings, call back from the road, rescue from the top of the slide, etc….It is just women enjoying each other with no distractions. You can definitely feel guilty leaving your little family to go do something for yourself. Remember, you cannot draw water from a dry well. You need to be fulfilled to be at your best. Something my friends and I do is we typically start at 8:30. That way we can help get our children in bed for the night and not feel so bad. I don’t think there is anything wrong with the father putting kids to bed on his own. I also don’t think there is anything wrong with helping your husband out and starting your girls night after the kids are in bed. Either way works; starting later helps bring out moms who might be hesitant to leave their kids. 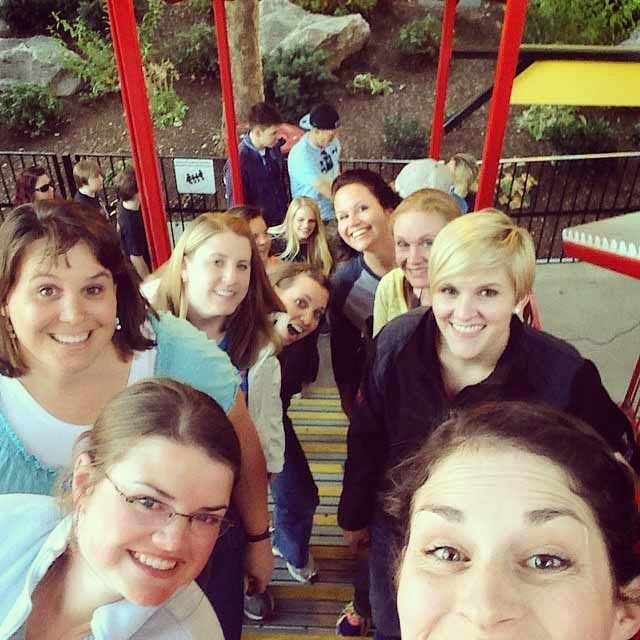 Anecdotally, I know I feel re-energized after a girls night out. Nothing makes you realize how unimportant all those little things you manage to stress about are like getting out for a fun night with friends. Let’s be honest, going to the grocery store alone helps you feel amazing, so how much more therapeutic is laughing the night away with friends? at the school. Volunteering is a great way to make friends. Good friends in a woman’s life increases life expectancy. And go check out the other BFBN ladies for ideas! My Devising and The Journey of Parenthood.